For those about to cosplay, Animethon 21 is just around the corner. The 21st annual anime-themed festival will be held at its usual stomping grounds of MacEwan University from August 8th to 10th, 2014. This year’s featured guests include a double performance by bands Antic Café (An Café) and Magistina Saga on Saturday, August 9th. Voice actresses Satsuki Yukino and Cristina Vee, among others, will also be in attendance. As always, there will be a number of vendors and artists exhibiting at the event, offering anything from works of art to your favourite anime plushies. Attendees can participate in board and card games or visit the Microsoft room for some gaming time. Animethon will also feature live panels on a number of topics, industry guests, and more. Edmonton’s annual anime appreciation event was founded in 1994 by the Banzai Anime Klub of Alberta (BAKA—which, incidentally, means ‘idiot’ in Japanese, and was likely an inside joke for club members) and has since changed hands in order to be represented by the non-profit organization, the Alberta Society for Asian Popular Arts (ASAPA). The event, as those who’ve attended it will know, takes over MacEwan completely with cosplay, artwork, and gaming. There will also be an Anime Music Video Contest, a Cosplay Contest, a dance, and many more events to take part in over the weekend. Costumes, as always, are welcome but not mandatory. “If you were fortunate to catch a peek at our entry in the K-Days parade, you will have seen some examples of costumes that some of our attendees [wear],” says Bryan Kennedy, Animethon Chair. Cosplay or not, there’s plenty to see and do for fans of the genre. Animethon is currently working with 91.7 The Bounce, Sonic 102.9, and City TV to give away VIP passes, so stay tuned to each of those for a chance to win tickets. You can also purchase your passes at the door. The event is all ages, with free admission for children under 12 (and they must be accompanied by a parent or guardian). For more details and to see the full line-up, visit animethon.org. 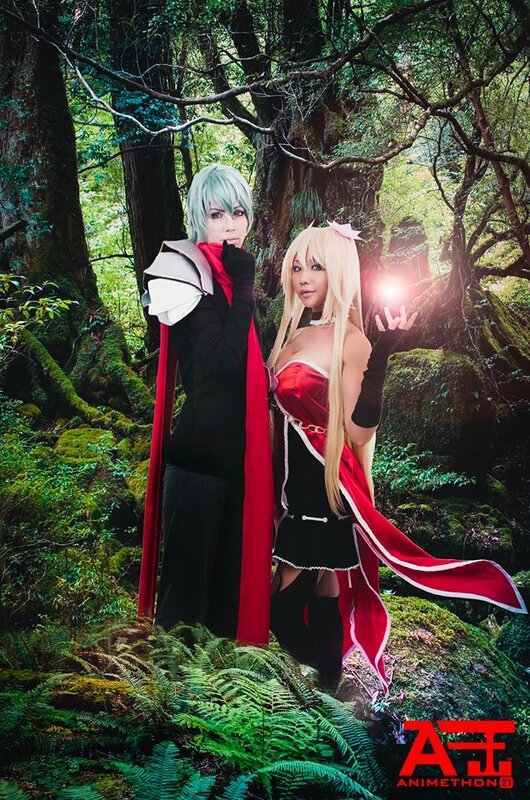 All images courtesy of Benjamin Sim Photography, Animethon 21, ASAPA, and Vicky Lau.